The Prime Minister was called on by H.E. Mr. Lorenzo Angeloni, Ambassador of Italy in India at the Gyalyong Tshogkhang this afternoon. Lyonchhen welcomed the ambassador and thanked him for taking initiative to visit Bhutan. Ambassador Angeloni expressed that Italy is keen to explore newer areas of cooperation to further deepen the relations between the two countries, particularly in sectors such as research, trainings and sports. 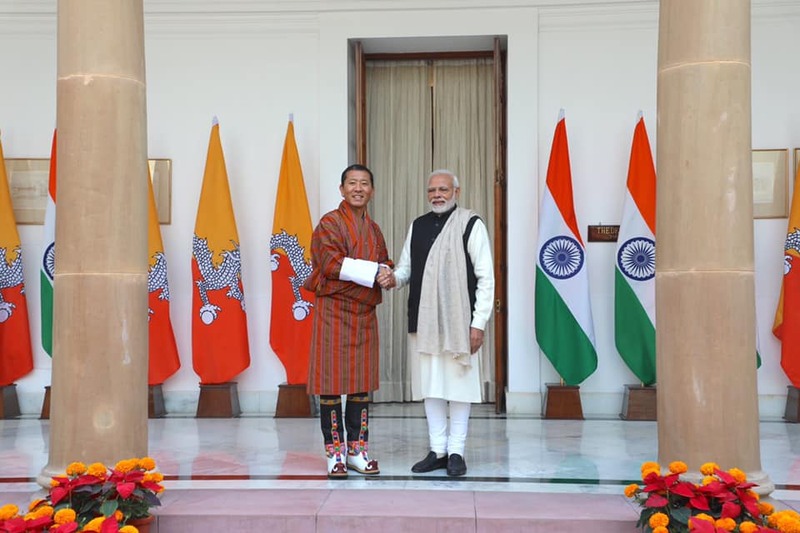 The Prime Minister mentioned that Bhutan welcomes Italy’s generous offer to enhance collaboration and cooperation, and added that Bhutan has benefitted a lot from Italy’s assistance. His Excellency also said that Italy’s support in the form of human resource development and their assistance in developing quality traditional medicines in Bhutan have proved to be very fruitful. Lyonchhen informed that he could draw a lot of connection between the priorities of RGoB (Five Jewels) and Italy’s successes in these areas. Furthermore, Lyonchhen conveyed that he would always be inspired by Italy’s culture, climate, food, society, arts and history.